There’s a good reason why 90% of organizations use content in their marketing: it costs 62% less than traditional marketing and generates 3x as many leads per dollar spent. This is great news, but it’s unhelpful if you’re still unsure how to create content that converts. Unfortunately, there’s no silver bullet for tuning your content marketing traffic into content marketing leads. However, by combining several different tactics, you can milk a lot more value out of your content marketing. Blog posts are an essential aspect of any content strategy. They drive awareness of your brand, they improve search engine optimization (SEO) for your site, and they establish your business as a source of trust. However, without lead magnets, blog posts don’t drive a lot of content marketing leads. A simple way to add lead magnets to your blog posts is to offer content upgrades. These are boxes in the middle of posts that offer further information about a topic in exchange for a user’s contact information. Content upgrades can lead readers to any type of premium content. Two types of premium content are ebooks and white papers, as these allow you to cover similar topics to blog posts in greater depth. These types of content also present you as an expert and demonstrate that you’re knowledgeable about your prospects’ needs and wants. The best ebooks and white papers show readers that they need your support without using a sales pitch. Plus, they end with a call to action to tell users what they should do next. Posting content on other websites—in addition to your own site or social media profiles—puts you in front of broader segment of your target audience. One of the best ways to achieve this is through guest blogging. You can find potential places for guest blogging by reaching out to popular sites in your niche that aren’t your competitors. Ask site owners if guest blogging could be an option and send some possible ideas for posts on evergreen topics. When writing a post, bear in mind that it needs to somehow link back to you. Discuss with the owner of the blog whether you could include a link to the landing page for a lead magnet in your author bio or the introduction of the post. It is also ideal if you can include some content upgrades within the post. Users never have a shortage of written content to consume, but people often prefer to learn something new or see something entertaining through videos. By including video content in your marketing strategy, you can reach your audience more often. When creating video content, use many of the same best practices as for written posts: make sure that quality is high, create content that has value to your audience and show off your expertise. Most important of all, never make a video that pushes for a sale—this is just as ineffective as it is for a written blog post. Like every type of content, videos need a clear purpose. Decide what you want to achieve with your video, which buyer persona it is aimed at and where it fits in your sales funnel. Once you’ve decided all this, you can choose a topic to cover. It is best to opt for something visual that would be difficult to express through written content. For instance, you could offer a tutorial, present testimonials, or give your audience a behind-the-scenes look at your business. Another alternative to written content could be an interactive tool. Interactive tools allow you to personalize the experience for your audience and differentiate your brand from the competition. As tools are highly share-able, make sure you include social sharing buttons on the page to reach a wider audience. There are many possibilities for interactive tools, but calculators and quizzes are particularly excellent options, as you can require users to provide you with their email addresses before they can see their results. Plus, you’ll receive valuable information about prospects, which you can use to customize your lead nurturing efforts. Combine the visual appeal of videos with an element of interactivity by hosting a webinar. A webinar allows you to offer training without the expense (for both you and participants) of an in-person event. Your webinar should provide useful advice or information that is unavailable elsewhere. In the description of your webinar, summarize what you’ll be covering in a way that is tantalizing but avoids giving away too much. Equally important as the topic is who gives the webinar. The host needs to have trade secrets to offer but also needs a personality to keep participants engaged throughout. The best webinars end with a Q&A session…and advertise this fact. The chance to participate will motivate users to attend the webinar instead of watching it later. This eliminates the risk that your audience bookmarks the content and then forgets about it. Rather than relying on SEO alone, work on increasing the visibility for your most important pieces of content. Promotion through ads is ideal for lead magnets like ebooks, webinars, and white papers. A top place to advertise is social media, as you can target a specific audience. To increase clicks, design your ad to appear as much like native content as possible. Generating content marketing leads isn’t as easy as writing content (even great content) and waiting for people to reach out. 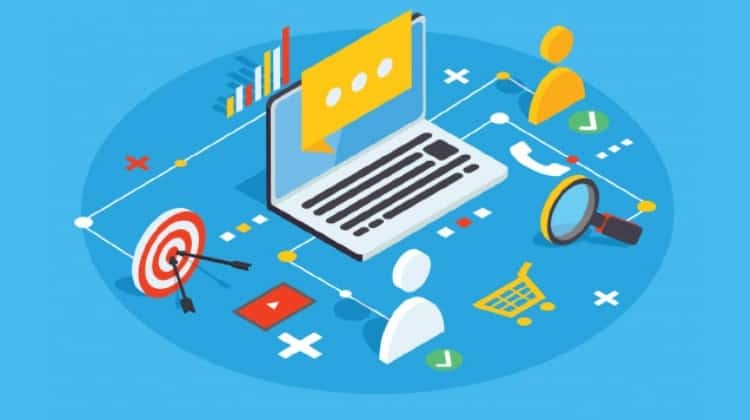 Fortunately, with these 7 content marketing tactics, you can get a lot more value out of your content marketing traffic and turn that traffic into leads and sales. Creating high-quality content is a good start, but to ensure you generate leads, you need to have a strategy in place. Whatever your business, you can implement all the above to form a comprehensive content marketing strategy.